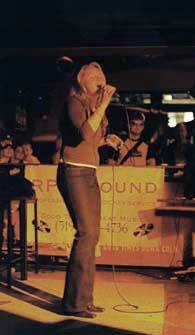 RPM Sound provides exciting Karaoke services for both nightclubs and private functions. Looking to add some fun and excitement to your party? 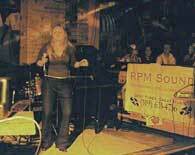 RPM Sound can combine dance music and karaoke to insure an enjoyable night for all your guests. Click here to inquire about rates and available options. 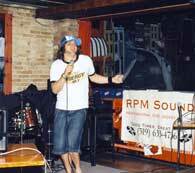 RPM Sound offers several karaoke nights at clubs across southwestern Ontario. Regular karaoke nights are listed below, including a standard song book listing many selections available for that night. To make a list of your requests, download the song book (in PDF format) and write down the song title, artist, disc, and track number. title, artist, disc, and track number from the song book below.